We make the 3D design of your rooms so you can get a better idea of what your recording studio will be. From here, the workflow will be bidirectional, receiving and emitting suggestions that allow to achieve the maximum performance in each room. Our design team has extensive experience in the room design and will adapt to your needs to get the highest acoustic standards. As acoustic engineers we are aware of the necessity to calculate a good acoustic isolation. This will serve to obey the local administration noise law, and also to improve your cost efficency. 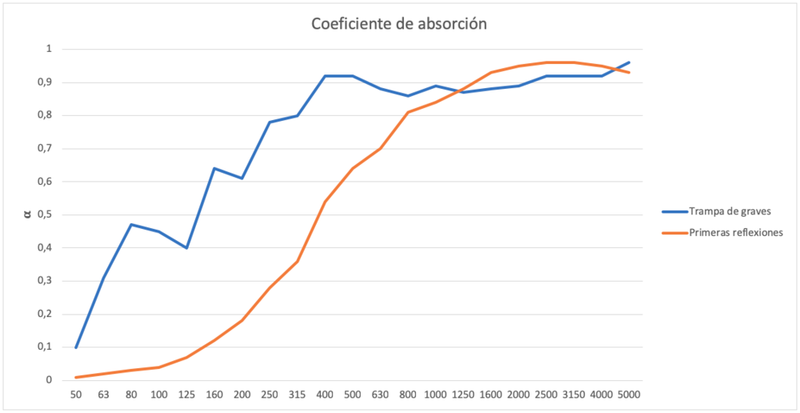 In ATEacústica we calculate from scratch each one of our projects, obtaining the best results. We have the greatest experts in the world of recording studio maintenance, with extensive international experience at audio wiring systems. We will study your personal needs and with this information we&apos;ll make a proposal that will optimize the solution. We can carry out a simple installation, like a patch in the recording room and loose ends at the other end, or several patch connected to different patchbays that will give you a total interconnection of your rooms. In ATEacústica we believe that a recording studio must meet the highest standards in terms of the acoustics of each of the rooms. For this reason, we have been studying and investigating for years to be able to carry out a control through the acoustic conditioning of the room that allows us to obtain a good answer. To do this, the control of the graves is fundamental, so we believe that the main task must be this. Once this problem is solved we get the whole spectrum to be completely compensated. 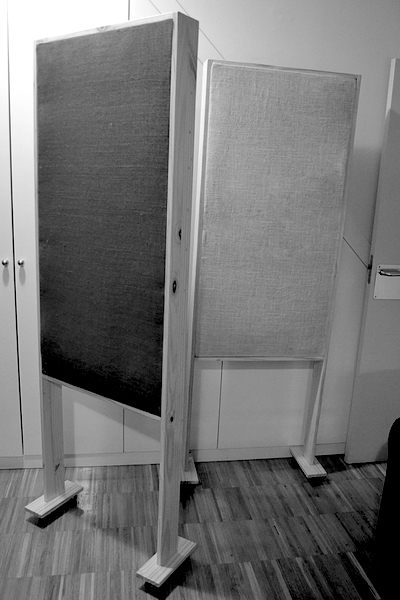 One of the main objectives in the acoustic conditioning is to eliminate the first reflections produced in the walls closest to the listening point. Eliminating these you will notice how the sound comes directly from your speakers, with greater clarity and a better stereo image. They are hand-built with noble and recycled materials. The finish will be the one you choose, as they are upholstered with fabric. 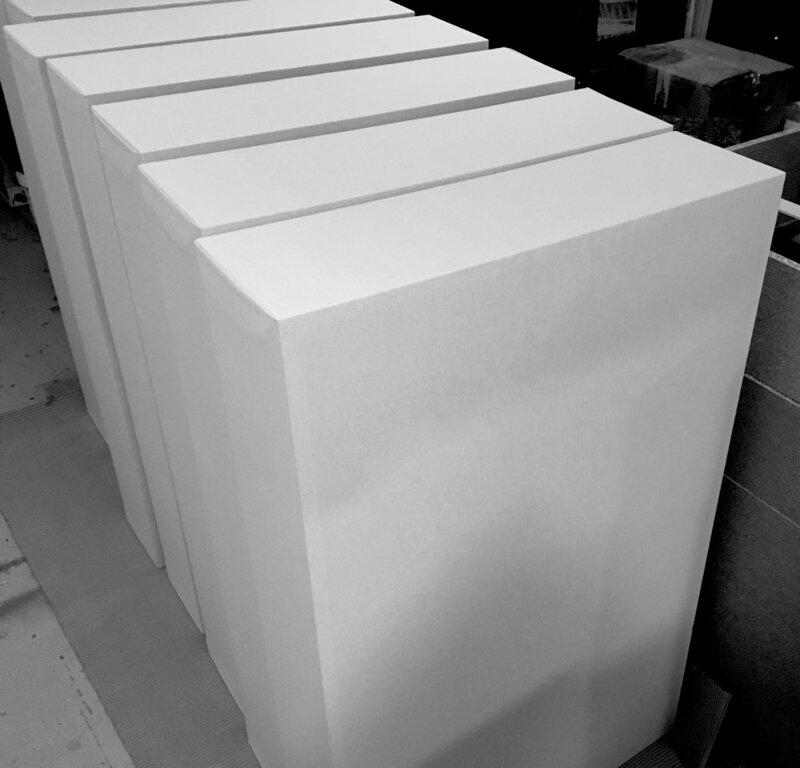 In ATEacústica we have developed acoustic panels capable of absorbing in a wide range of frequencies, from the lowest to the highest. Thanks to these panels, you will get a control in graves that you will not be able to obtain by using absorbent foams, we guarantee it. 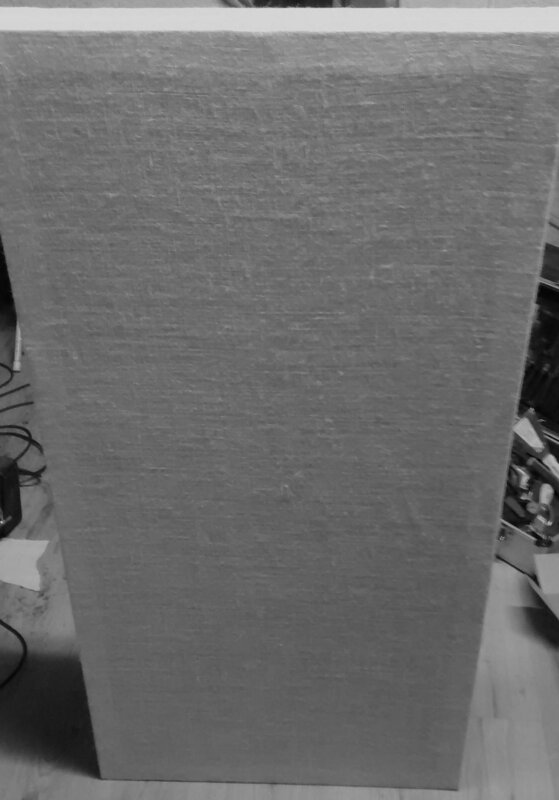 Its construction is similar to the absorbent panels of first reflections but with a slightly larger size and an inert mass technology that acts directly on the low frequency bands that have the most energy inside the room. With this, you get to act just on those frequencies that "Emborronan" the lower part of the response of our room. If you want a panel that you can put in the place you want and move it to your liking, do not worry, we design and build a mobile gobo that makes it possible. We adapt to any measure and absorbing system, you just have to ask and we do. We build diffusers adapted to your specific needs. Calculated to attack those frequencies in which you need a higher degree of diffusion, maximizing its effectiveness. It is important to know that not all frequencies should be "attacked" by a diffuser, because we must at least place two or three times the wavelength on which we act in order to feel the correct effect of diffusion. It is therefore very important to calculate what frequencies we can act on.